You might have had the inclination at some point to get a little “weird” in Austin, TX. However, the city has much more than just a population of eccentrics. If you’ve thought of paying it a visit, we’ve listed some of the best attractions that you will want to see. Do you like picnics? Well, pack one up and head to Hamilton pool. One day, a river dome collapsed and created this gorgeous setting of water falls and natural pools. What possible interest could a bridge hold for you? Well, at dusk, you can witness 1.5 million Mexican Free-Tailed Bats all fly out at once. One of Austin’s greatest attractions, Barton Springs gets fed 70 degree water year round. Another great place for a picnic – or you can just chill with the family. Do you want to feel like you’ve gone to a different planet for an evening? Take a trip to the Longhorn Caverns, created after thousands of years of water running over limestone. With all these attractions, why stay away? Just remember to keep out of trouble. 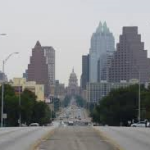 If you do find yourself in need of bail bond services, ATX Bail Bonds can help. To find out more, give us a call at (512) 834-2245.